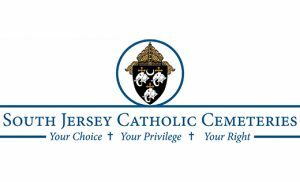 Molly McNulty of Cape Trinity Catholic School, North Wildwood, is a recipient of the Dr. David T. Coghlan Young Catholic Leader Award. 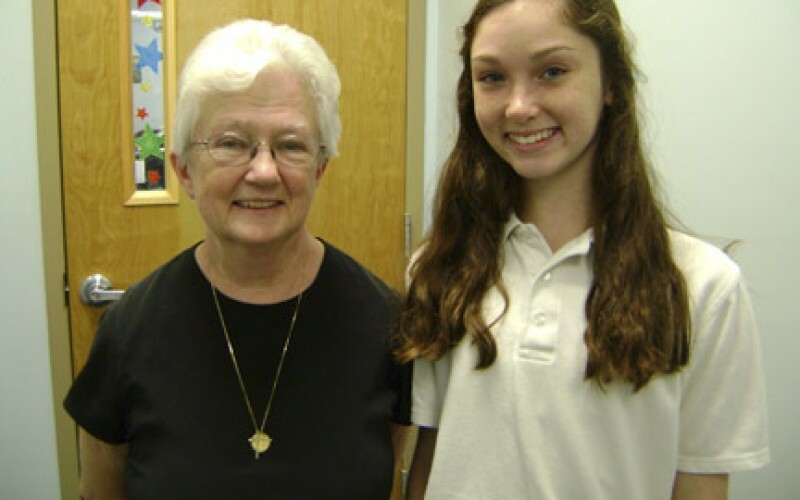 She is pictured with Sister Sheila Murphy, administrative director of Cape Trinity Catholic School. 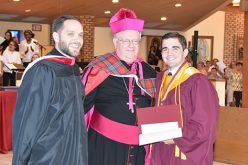 Three eighth grade graduates have merited the top scholarships for the 2012 Dr. David T. Coghlan Young Catholic Leader Award. 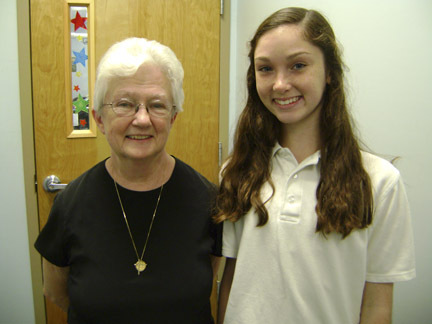 A tuition scholarship of $1,000 toward her freshman year at Wildwood Catholic High School was merited by Molly McNulty of Cape Trinity Catholic School in North Wildwood. 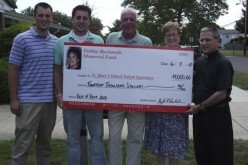 In addition, two $500 scholarships were awarded this year. 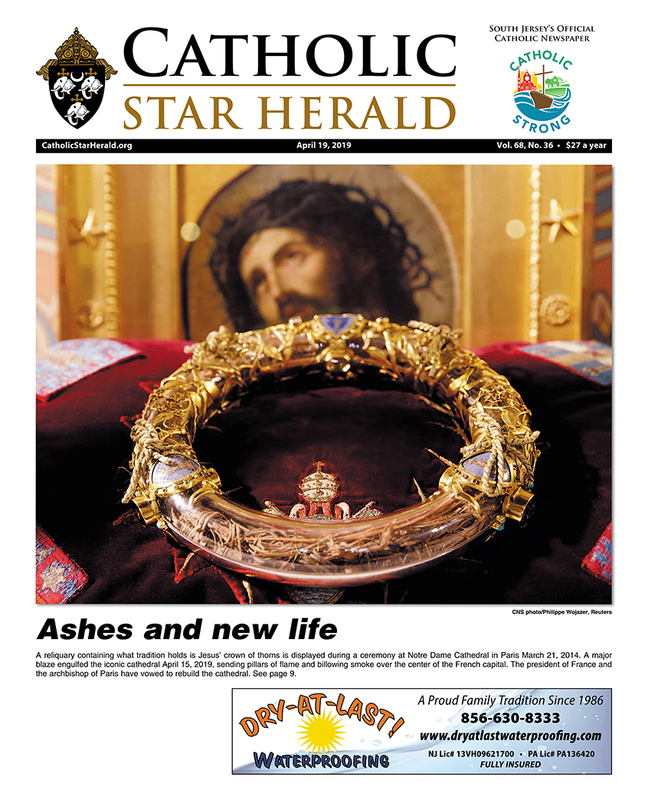 These awards went to Deanna Greco of Christ the King Regional School in Haddonfield, and Ana Luisa Lamberto of Good Shepherd Regional School in Collingswood. 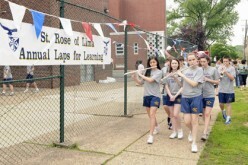 Deanna will attend Camden Catholic High School next year, and Ana Luisa will be a freshman at Paul VI High School in September. This year, Molly was the president of the Student Council at Cape Trinity Catholic. 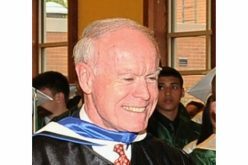 The Coghlan Scholarship is given each year to a deserving eighth grade student who will be attending a diocesan Catholic high school, in memory of Dr. David T. Coghlan, former Superintendent of Schools who died in 2005.